Acworth is a Northwest suburb of Atlanta located approximately 32 miles from the city. The City of Acworth is located in Cobb County. Parts of the unincorporated area extend into Paulding, Cherokee & Bartow counties. According to the 2010 census, the population was just over 20,000. The damming of the Etowah River by the Army Corps of Engineers to create Lake Allatoona left many residents in fear that the town would become a swamp. Citizens successfully petitioned for a second dam, creating Lake Acworth. Thereby earning its name The Lake City. Today, the lake serves as a major tourist attraction. It provides visitors and residents with wonderful opportunities to enjoy the lake. Boating, swimming, hiking, and gathering at the numerous parks and recreational areas help bring the community together. In recent years, the downtown area has undergone extensive renovations. Now it is a bustling hub of activity for residents. Many new shops & restaurants have invigorated the city. Historic downtown plays host to community events, festivals and holiday celebrations. 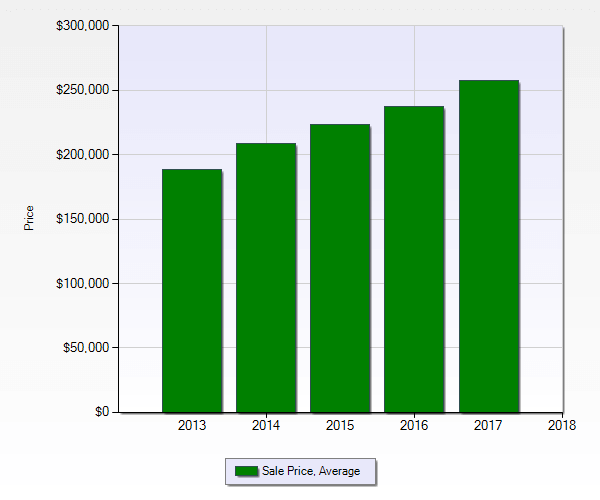 Based on the information acquired from First MLS for Acworth over the last 5 years, ending in December 2017, on 8,946 SOLD RESIDENTIAL UNITS (included single-family residences, condos & townhomes), the average home price in 2017 was $257,415 showing an increase year over year.